Story is made out of series of events. The sequence of all the events is called a Plot. Event is a meaningful change in character’s life, the thing that happens during a story that transforms the world from one state into another. During a story, the main character(protagonist) goes through a series of events, each of them taking him closer to, or farther away from his Goal. This series of events culminates in Climax— the major, most important event of a story, the moment when protagonist achieves his goal(or, less often, fails to achieve it). Story is divided into 3 Acts. The first act is about protagonist’s normal, regular life being disrupted by some event. This event is called Inciting Incident(IInc). IInc is the main reason the story has happened, the thing that kicks off the series of events that lead to climax. IInc gives protagonist a challenge, creares a Goal — the main value for the character, the thing he will be trying to achieve for the rest of the story. Usually, it is the result of a problem created by antagonist. The first act culminates in the First Turning Point (TP1). TP1 is the moment when hero decides to go on adventure. Makes a conscious decision to engage with a story, and begins striving to achieve his goal. Second act is about the series of escalating events(successes and failures) that happen as protagonist struggles to achieve his goal. Hero pursues his goal, and overcomes the obstacles set by antagonist. From his victories and mistakes he learns lessons about the world, and gains powers. As hero moves further, the stakes rise, his commitment to the goal increases, he has to apply more effort and take bigger and bigger risks to move forward. In the middle of a second act, protagonist goes through the Mid Point (MP) - the point of no return. He swims past the middle of the river, and now turning back is harder than reaching the other shore. Stakes continue to escalate, until he has to risk everytning in his biggest attempt to win. He engages in final battle against the antagonist, and puts everything on the line. Second act culminates in the Second Turning Point (TP2) — the moment when hero’s biggest attempt fails, when all is lost, the goal is no longer attainable, when antagonist seems to win and the protagonist is defeated. The third act is about the final battle and it’s outcome. Defeated, half-dead hero learns his biggest lesson from his worst failure. This is usually when the biggest twist happens. Hero sees the truth. Comes up with a brilliant creative solution, understands his mistake, finds the mega weapon, realizes who was the murderer all along, etc. This is what will enable him to turn lose into win. Armed with this knowledge he gathers all of his strength, and takes the final effort to turn things around, to win the battle. Hero defeats the antagonist and finally achieves his goal. What is a story? Why is it told? What lies at it’s core? When the world undergoes change from one state to another we call this process an “Event”. The point of storytelling is to relay an experience of an event. People listen to stories to gain an experience of a (big and important) event, understand it’s reasons, and learn from it. Story is a description of an Event (change of value) and the underlying reasons of that change. Story consists of series of smaller events, leading up to and culminating at Climax - the big and important event, the reason for telling a story. Climax is the moment such Event happens. Climax is the key to the story. When you are writing a story, climax is the biggest thing you are looking for, and the most challenging thing to figure out. Once you know the climax - you have your story, because all of the key story elemnets are connected to it. We experience the story through the eyes of protagonist, he is our avatar into the story world. Climax is a direct result of a deliberate action by protagonist. Protagonist is a person who had a goal and made a chose to pursue it. Climax is the moment when protagonist achieves(or fails to achieve) his goal. As he struggles to pursue his goal, he gains experience. He understands the way the world works and the reasons for that. He learns lessons, and we learn these lessons through him. Controlling Idea (CI) is the underlying reason for the change that happens, the underlying nature of the world we are trying to explain through our story. It is the answer to why the event has happened. CI is an abstract idea, that is being expressed through concrete events and actions. To put it simply — it is a “moral”, a philosophy that is being expressed. For example, children’s fables are simple metaphors for expressing simple ideas(“lying is bad”, “be nice”, etc). CI is a “lesson” that protagonist learns about the nature of the world that enables him to accomplish his goal. Usually, CI is expressed as a flaw that prevents protagonist from achieving his goal, and it is a “lesson” he learns during a story. So when you are writing a story, climax is the key element you are looking for. When you know the climax — you have a story, and until you know it — you don’t. Climax is a moment where the story’s main Event happens, that makes it the most crucial scene. Story is written about the Event, thus Story = Event = Climax. Climax is a moment when the protagonist achieves his Goal. That means that if you know the climax - you know the protagonist’s goal, and vice versa. Climax = Goal. Inciting Incident (IInc) is, by definition, the moment when the character acquires his goal. Usually, it is a problem created by the antagonist, that character will struggle to solve during the whole story, and will finally solve by defeating antagonist at climax. That means that if you know IInc = you know the goal, and you know the goal = you know the climax. At Turning Point 1 (TP1) the hero makes a decision to pursue the goal he acquired at IInc and starts on his journey. At Mid Point hero has a better chance of achieving his goal than going back to the way things were before. And at TP2 hero seems to fail and lose his goal, it is simply the reverse of what happens at climax. Now antagonist is a character who’s function is to prevent hero from achieving his goal by throwing obstacles on his way. Love interest is an extra motivation for a hero to achieve his goal, a source of extra complications/conflict, and a reward he gets for winning. Hero’s internal Flaw is a mistake he makes, an internal quality that prevents him from achieving his goal, and creates internal conflict. The Controlling Idea (the “moral” of a story) is a lesson hero learns by overcoming his internal flaw, the lesson that enables him to defeat the antagonist and achieve his goal. 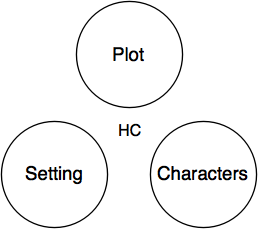 That way, as you can see, all elements are connected through the goal to the story’s climax. Any can be discovered if you know the climax, and when you know only some of the elements but not all — you can discover climax by following these connections. Now that I’ve talked about story structure, story essence, and connection between climax and other story elements — I will talk about story writing process. Setting — the world of a story. Characters — protagonist, antagonist, others. Event — what happens, event the story is about. Contrilling Idea (CI) — the “moral” of a story, philosophy you want to express. Together they form a High Concept (HC) — the main story idea, original and interesting concelt you can express in a few words. When you know what these elements are — you can find the key structural points (IInc, TP1, MP, TP2, Climax) of a story, and develop a Plot. That will give you a pretty clear and straightforward idea of what your 3 Acts are about. Once you know that — you can break the acts into scenes , and create Outline. And then use that outline(list of scenes) to simply expand it into writing. You find these elements by asking and answering questions. In practice any of the elements can be an initial idea/inspiration, the process is chaotic, it involves jumping back and forth between questions, tweaking, randomness, serendipity, imagination, etc, but more on that later. The following is an idealized, orderly version of a process. It makes sense to begin by finding an interesting setting, and once you know where your story takes place it is easier to find an interesting character. I also call it “SciFi Premise”, because SciFi/Fantasy tend to revolve around worldbuilding and unusual characters in interesting situations. Once you know the setting and characters, your biggest goal is to find your climax. It is difficult to come up with climax on it’s own, but as I’ve said, all elements in story are connected, and you can unrawel all of them by starting with one. In my experience, the easiest one to begin with is IInc, or, in other words a problem. Usually this problem is caused by the antagonist, so if you can figure out who that is it may help you to find the problem. Once you have your problem — you have your IInc, you know where your story has started. And obviously, you immediately know that the character’s goal is to solve this problem. So even if you don’t have a very idea of your climax — you know that your character will solve this problem at climax. Next — you can find TP1 — it is simply the point when character decides to achieve his goal. Once you know that, you can imagine what difficulties may arise, and how things can escalate, and as they escalate more and more — you know your MP, and as they escalate even further — you can figure out the big final attempt at achieving his goal, and how it can go horribly wrong and fail. Finally, once you know the TP2 — the lowest poit for the character — you can figure out how he will turn things around and solve it at climax. Setting. What is the world of my story? Characters. Who are the characters? Problem (and Goal). What can go wrong? What problem will my character need to solve? Engage. How does the character start pursuing his goal? Escalate. How can get more difficult? What obstacles will he face? Lose. What is his final, biggest, highest-stakes attempt, and how can it fail? Turn How can I turn lose into win? How does character solve the problem? Once you know the things you are looking for, the main steps you need to take — you search for them by asking questions, thinking, writing. Usually it is hard to write the story completely top-down(start from outline, find key points, and break things down until you have individual scenes), and it is hard to do it bottom-up(just sitting down, writing, and going wherever it takes you). So I think that the best way is to combine both options and jump back and forth. You think about the outline, you ask questions, you sit down to write, then go back to correcting outline. If you find yourself unable to answer some of the questions, I suggest to write a list of 5possible options, not the best ones, just somethig that could barely fit, and then pick the one you like the most. Another useful idea at this point is to just set yourself a goal to write a certain number of words(250 or 500 works well). 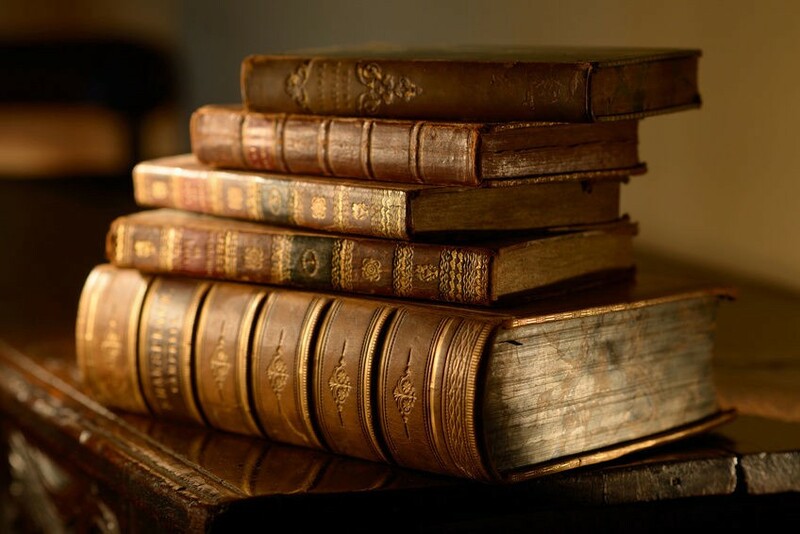 When you are doing that, you should not think about the outline ormstory structure or theory, just type words, that will help you to find the answers and new ideas. If you have found this post useful - come check out my brief overview of the writing process at Rick and Morty. Also, I have developed a story template based on these ideas - a tool that allows you to organize all of this information and makes crafting stories much easier and more convenient. To go deeper into this subject and learn more, I highly recomment the book Story by Robert McKee, this incredible lecture on screenwriting by Michael Hauge, and series of lectures by Brandon Sanderson.